howiGit.com has landed, at long last — check it out at howiGit.com. 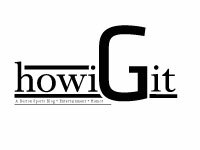 This site (http://howiGit.wordpress.com) will soon be automatically directing visitors to the new site. If you have the old site saved or bookmarked on your computer, do me a favor and change the link to http://www.howiGit.com. Thanks all, keep tuning in, and watch out for a Philly writer joining the team soon. Despite the Patriots losing their playoff game to the Jets, there is still hope for the Boston sports scene this winter. We all know what the Celtics are doing, and for the most part, the majority of fans still won’t get too excited until the playoffs begin. We saw it last year whenthe C’s played .500 ball to close out the season, only to turn it on come the post season. So ifyou’re feeling as though you have too much free time on your hands due to the Pats early exit,then perhaps the Bruins would be a good place to focus your energy. Clearly the last team on the Boston depth chart, the Bruins have struggled to compete with the Red Sox, Patriots, and Celtics for the attention of the Boston faithful. However, it’s becoming increasingly difficult to ignore what the Bruins are doing, and especially the play of sixth year-center Patrice Bergeron. The Bruins bounced back from their 4-2 loss to Buffalo by beating Colorado 6-2 on Saturday afternoon. Last Monday’s 7-0 win over Carolina gave the B’s six out of a possible eight points on their mini-homestand. They followed that up with a 3-2 win over the Hurricanes to complete a sweep of the home series. In doing so, Boston now has 27 wins and 61 points on the season. Because of their status as a division leader, the Bruins find themselves in third place in the Eastern Conference behind Tampa Bay (63 points) and Philadelphia (67 points). And while perhaps the biggest story of the season has been the resurgence of All-Star goalie Tim Thomas and his league leading 1.83 goals against average and .945 save percentage, the credit for the Bruins’ recent success belongs in large part to Bergeron. The centerman has 16 goals and 23 assists for 39 points in 48 games, despite slumping through the latter half of November and early December. 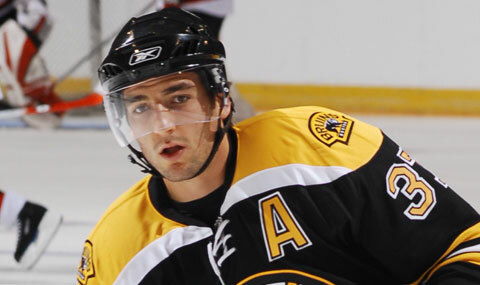 Bergeron is now playing more and more like the 70 point player Bruins fans became accustomed to a few years ago. Always looking to set teammates up, Bergeron is just as much looking for his own shot this season — and capitalizing when he does. He has posted multiple points in six of the last nine games and is making additional contributions that don’t show up on any stat sheet. The NHL has taken notice, as it named Bergeron the second star of the week ending January 16th. Known primarily as one of the better two-way players, Bergeron has been an active contributor on both the Bruins’ power play and their 4th ranked penalty kill. He has three power play goals on the year to go along with two short-handed tallies. Bergeron is not one of the NHL’s flashier players, nor is he even one of the Bruins’ for that matter. But he is a solid player that the B’s have come to rely on heavily; whether it’scontrolling the puck, disrupting the opponent’s transition offense, winning face-offs, or using his offensive skill set. His 39 points leads the Bruins, but is still 27 points behind Sydney Crosby’s and Steven Stamkos’ league leading mark of 66. But the Bruins don’t need Bergeron to be Crosby or Stamkos. Bergeron’s style fits perfectly with a team that finds itself firing on all cylinders as the NHL approaches its All-Star break. Every line is contributing and making plays — the Bruins have eight players with at least ten goals and ten players with at least twenty points. Boston is playing as good of hockey as anyone in the NHL lately, so now is the time to catch on. Bergeron, along with Thomas, is leading the Bruins towards the playoffs where they hope to avenge the heartbreak of last year’s second round debacle. And while the next few Sundays may sting for fans around here, maybe watching the Bruins is just what the doctor ordered.